In my previous article I discussed about the importance of search engine submission with a one special site link.If you did not read it yet please read here. 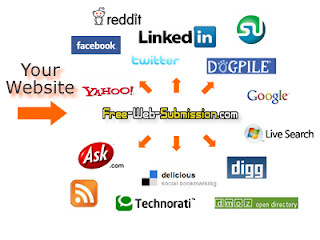 However most of the sites requires payment or at least a link from your site. Today I introduce a free service. What are the requirements to submit your blog....? How can we submit the blog.........? It is very easy as the earlier one just visit the page and submit your URL. This has a special ability to generate index for your web site and also has given you some ability to automatic re-indexing. Also this has a special feature of analyzing your page. This is also a important web submiting tool. This important is goog analytic property. You can submit the page here. Thank you very much for the information. I for one went to the previous article mentioned in step one and submitted my blog for free. Now with your help today I promoted a review based platform with information articles about how to work at home and opportunities to make money online. For some reason, though I have a hard time getting the attention I feel that I rightly deserve. I will be haunting your blog here for several days for more valuable insight.